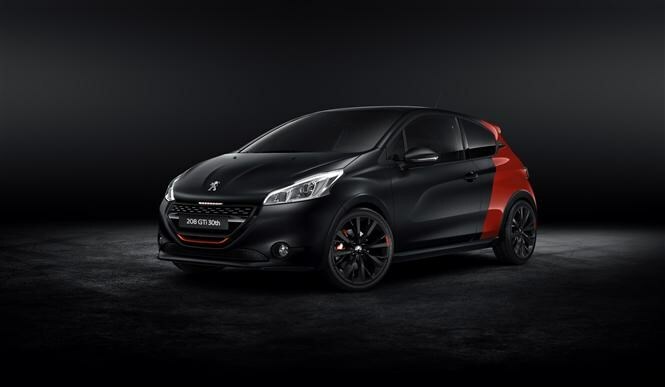 Main image caption The 30th Anniversary 208 GTi. Hot hatches have always sold well in Britain, particularly French ones, which explains why a third of all Peugeot 208 GTi 30ths to be built are destined for these shores. If you’re asking what it’s the 30th anniversary of, then chances are this particularly potent Peugeot won’t appeal to you a great deal. Its mission is to embrace the appeal of the original 205 GTi launched back in 1984, hence why the big-budget advertising campaign to go along with the car pays homage to the three-decade-old original too. What the 208 GTi 30th isn’t is the regular sporty offering with a flash two-tone paint job, because the experts at Peugeot Sport have had their hands on it to eke this and fettle that to deliver what the firm promises to be a more exciting driving experience. 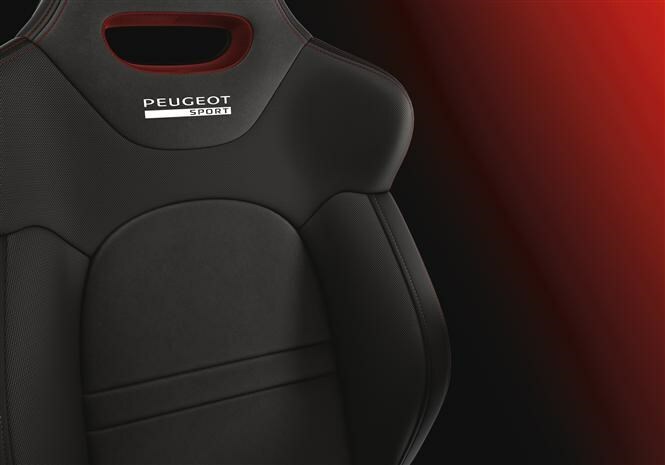 Coupe Franche – or clean cut – is how Peugeot describes that bold bodywork with a high gloss red rear contrasting against the textured black paint used on the front two thirds of the car. With 75 of the 100 coming to the UK in this finish, it’s bound to draw attention. Of the remaining 30th anniversary editions, 25 are Satin White, with five Rioja Red examples completing the set. Whatever colour scheme you choose, the car’s detailing around the grille, wheel arches and windows is finished off in matt black, with special edition badging and a twin chrome-plated exhaust completing the picture. 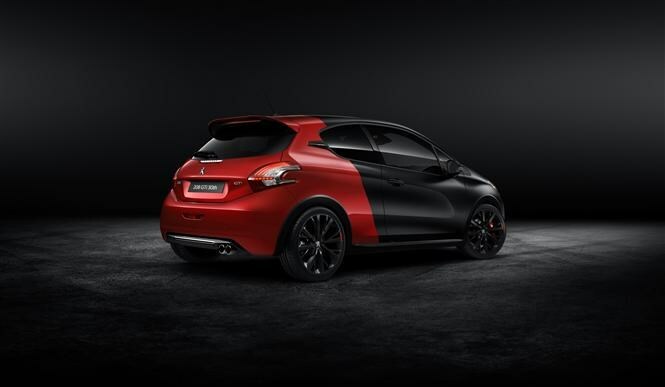 Inside, there’s black Alcantara faux suede for the sports seats with red detailing around the cabin, including the instruments, reinforcing the sports theme, again as a nod to the 205 GTi. Generating 205bhp (or 208PS if you prefer, both convenient numbers for this Peugeot), the latest 1.6-litre turbocharged engine also enjoys a 25Nm torque boost to 300Nm, making it much more responsive for overtaking manoeuvres and acceleration – the 0-62mph sprint is dispatched in just six seconds. Despite the extra dose of performance, the 208 GTi 30th is also more fuel-efficient as well as being kinder to the environment, with CO2 emissions dropping to 125g/km - a 14g/km fall. To cope with the extra urgency, Peugeot Sport engineers have beefed-up the GTi 30th’s handling capabilities, lowering the suspension by a further 10mm and widening the gap between the wheels on either side of the car, increasing its stability. Riding on wider-rimmed, 18-inch matt black alloy wheels, shod in sticky Michelin Pilot Super Sport tyres, grip is further enhanced by a Torsen differential, although it’s worth noting that the electronic stability software and traction control have been tweaked to impact less upon the driving experience. You can order the special edition GTi 30th now, with deliveries beginning in November 2014, costing £21,995. Return soon for our definitive road test verdict on the new Peugeot 208 GTi 30th and discover if it recaptures the spirit of its 205 GTi forebear. The 30th Anniversary 208 GTi. The 30th Anniversary 208 GTi. 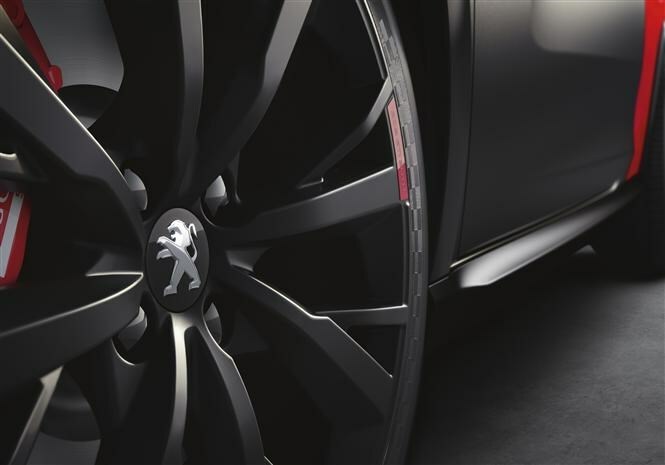 The 208 GTi 30th Anniversary's alloy wheels. The 208 GTi 30th Anniversary's interior. The 208 GTi 30th Anniversary's seats. 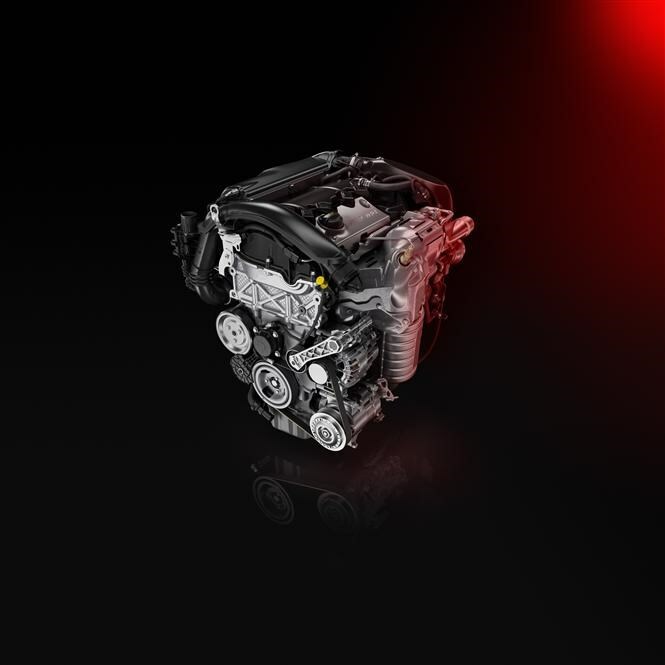 The 208 GTi 30th Anniversary's engine.